AXE Body Wash for men Charcoal & Clean with charcoal and watermint is a body wash for men with touch release technology – to give you bursts of freshness whenever you touch your skin for clean, energized skin all day, every day. 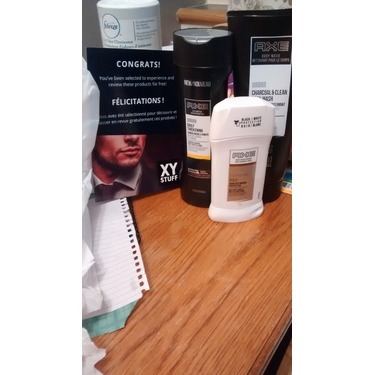 You may also like: AXE YOU Body Spray, Body Wash; AXE Signature Gold Antiperspirant Stick, Dry Spray Antiperspirant; AXE Signature Dandruff Defense 2-in-1 Shampoo, Skin Hydrator Body Wash, High Shine Gel; AXE Urban Thickening Style Prep Shampoo; AXE Adrenaline Daily Clean 2-in-1 Style Prep Shampoo, Cool Charge Body Wash. 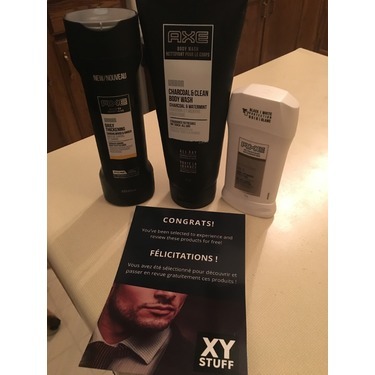 Le nettoyant pour le corps AXE Charcoal & Clean pour hommes, avec charbon et menthe aquatique, est un nettoyant corporel pour hommes qui intègre une technologie de libération de parfum au toucher – pour procurer des bouffées de fraîcheur chaque fois que tu touches à ta peau pour une peau propre et énergisée toute la journée, chaque journée. 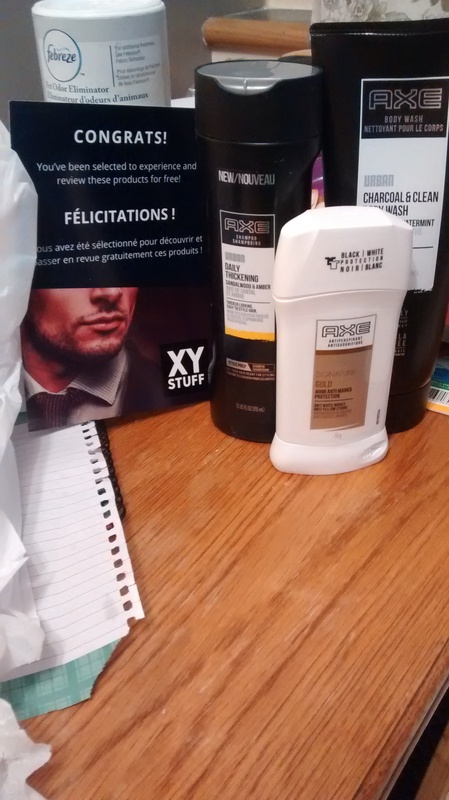 Bought AXE URBAN CHARCOAL CLEAN BODY WASH after smelling at least a dozen body wash products while I was at the pharmacy. This one had a faint smell of an odor I could remember smelling as a child so I just had to grab it. All in a single bottle? 5 stars for being effective at washing my body. Nothing better than a product that leaves you feeling clean. 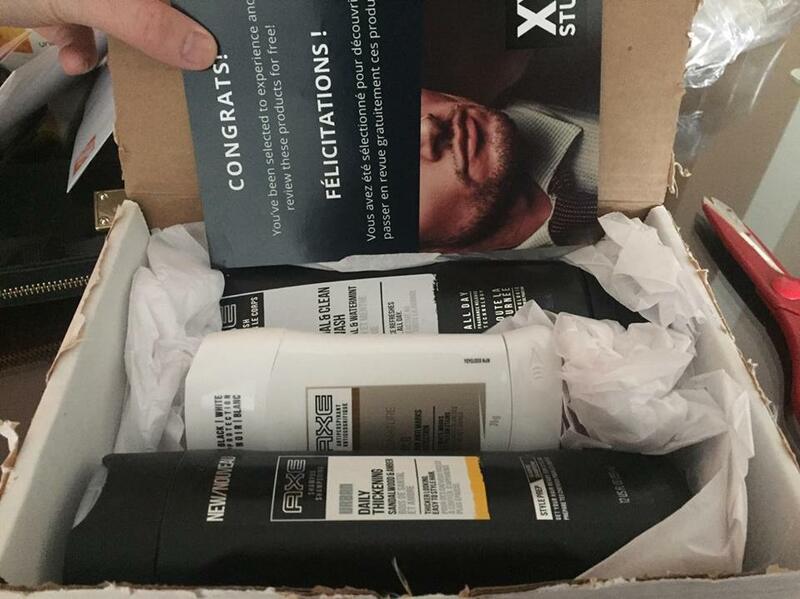 Axe is known to have a strong perfume. True to this product as well yet not overpowering. And this is why I don't need to buy and add perfume to my hygiene ritual. 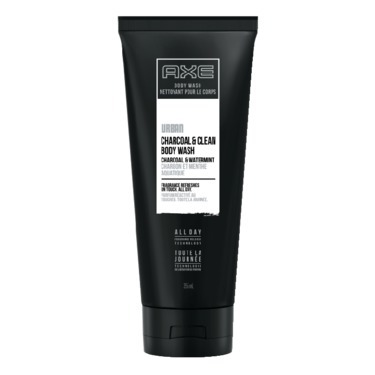 Best part of it, more people compliment me on the smell with this one compared to many other axe products I have used in the past. This one is a keeper for sure. What is it about this that makes you feel so fresh , what a good feeling . Recommend this to anyone who likes to feel fresh and an extra brush of energy as in I feel like it wakes you up and feel ready for the day . 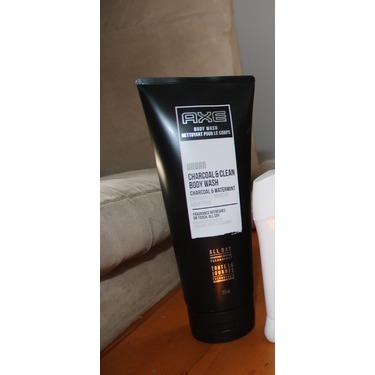 The urban charcoal & watermint body wash nice but I like a lot of bubbles in my scrubs. Where it didn't seem to lather that great. It has a nice aroma and seems to clean well. 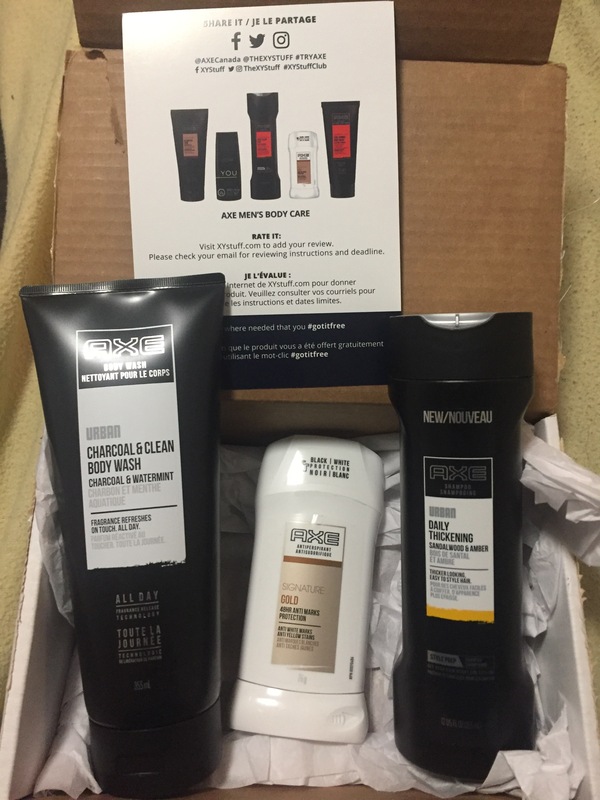 I received this product as a free trial. 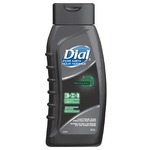 I was very pleased with the colour smell and the thickness of this body wash. 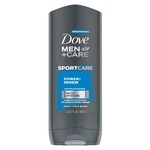 I would highly recommend this for its value and effectiveness. Loved it. 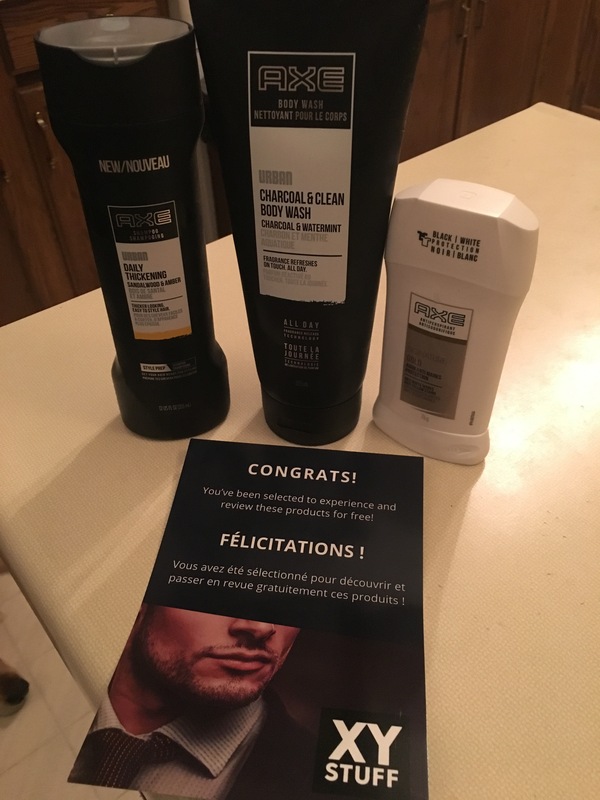 The Charcoal Body wash was VERY good! only thing that i didnt like much was the way it stuck to your skin before you washed it off :/ smells great and feels great! 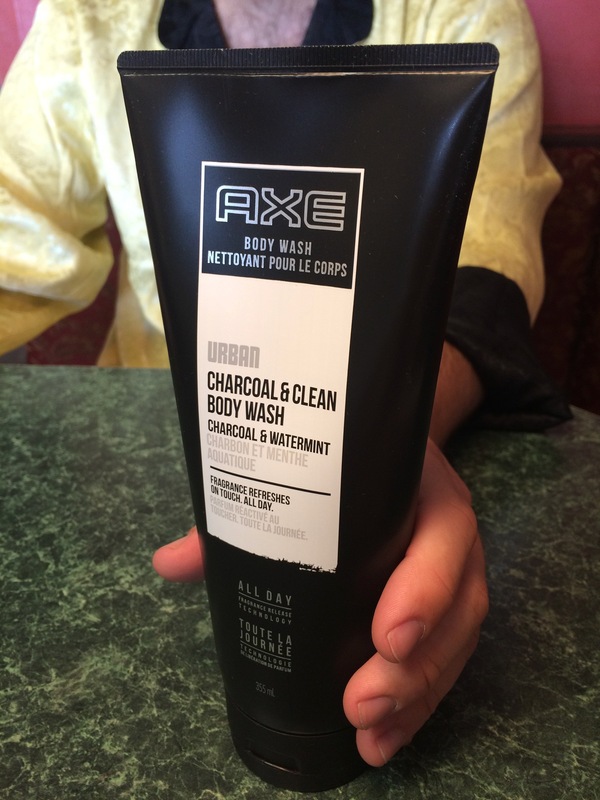 This AXE body wash keeps me feeling fresh and smelling divine ALL day long! Just a mere touch of the skin.. The scent is to die for! 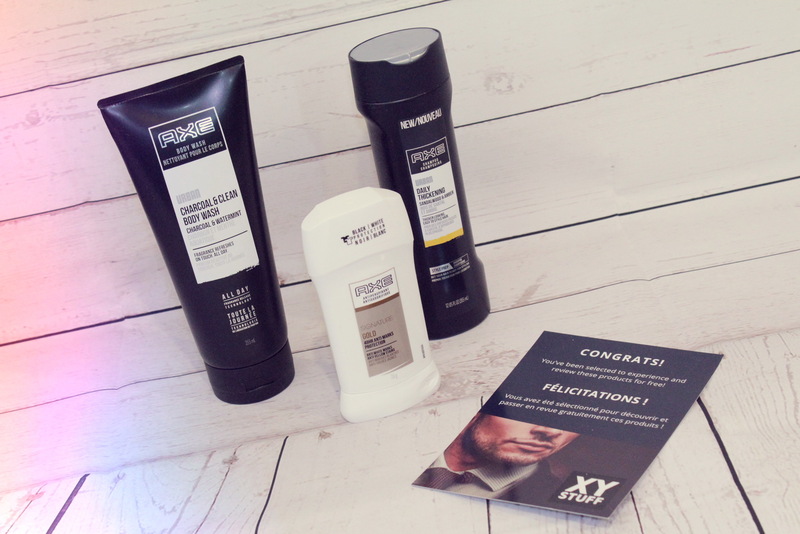 I love AXE body products, and this new one is one of my favourites to date! 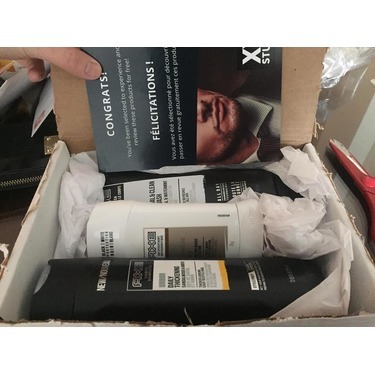 I #gotitfree for review from XYStuff. I have to say this is an awesome product. 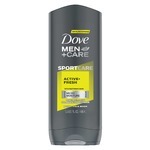 It lathers well, fantastic scent that isnt too strong. 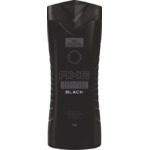 It lasts all day and my girlfriend kept smelling me, was hugging me longer so AXE does the trick! I felt clean and fresh. 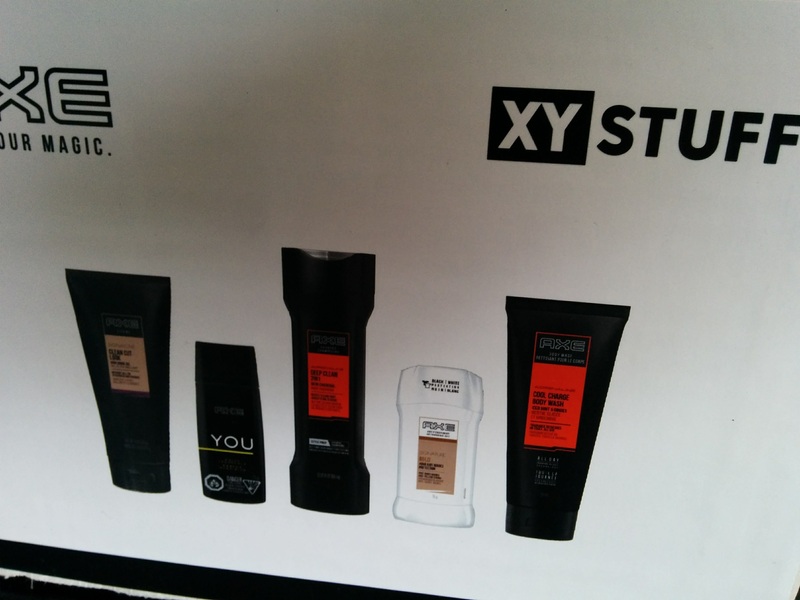 I've been using AXE body wash for almost a decade. However, I'm found the scent of this particular product to be just ok. It's only something I would buy if I had nothing else to choose from or if I'm getting a discount.